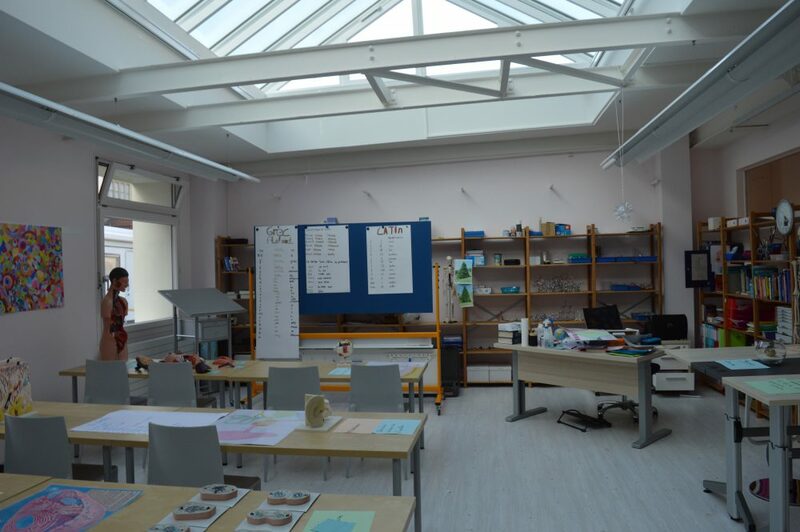 Our school has been founded in 1999, and today it occupies two entire floors of a completely renovated building to meet its needs. 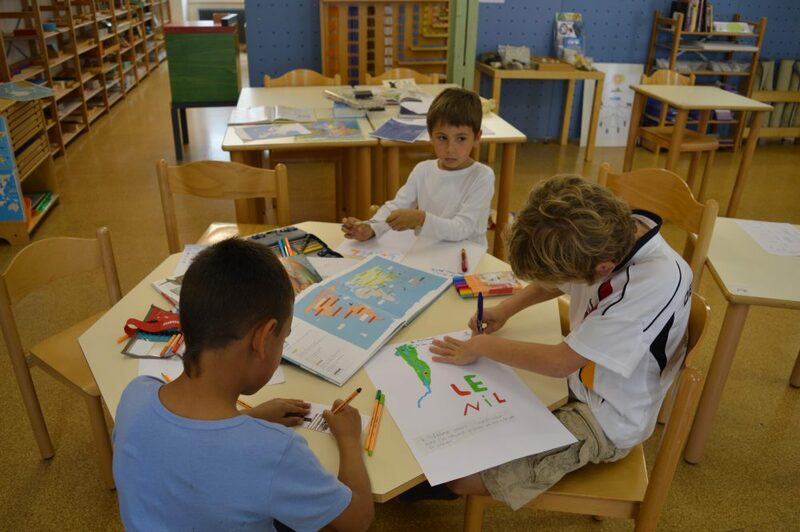 We welcome children from the age of 2 onwards, from preschool to secondary level. It is through appropriate work and activities that the character of the child is transformed. Work influences his development in the same way that food revives the vigor of a starving man. We observe that a child occupied with matters that awaken his interest seems to blossom, to expand, evicing undreamed of character traits; his abilities give him great satisfaction, and he smiles with a sweet and joyous smile. We are confronted with a considerable development of consciousness that has already taken place, but now that consciousness is thrown outwards with a special direction, intelligence being extroverted, and there is an unuasual demand on the part of the child to know the reasons for things. All men must be taught to see the world in all its grandeur, to extend the limits of their lifes, to make their individual personalities reach out and touch those of others. Montessori states that we are accustomed to thinking that it is we who mould the child from outside, rather than realising that it is the children who must form themselves. The Swiss “Maturité”, also known as the Matura, is a secondary education diploma that allows access to higher education at colleges, universities or technical schools world­wide. Offrir, tout au long du parcours scolaire des élèves, une éducation envisagée comme une formation complète de l’individu, en lui fournissant un cadre propice aux besoins de son intelligence et au développement de son autonomie de travail.